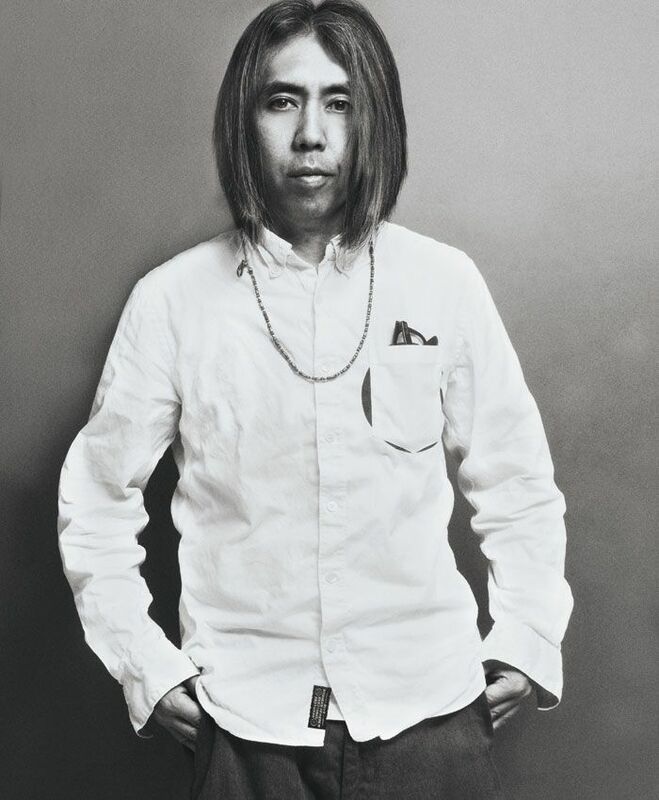 An OG of high sophistication, supreme street cred and impeccable cool, Hiroshi Fujiwara is the real deal. In the early '80s he traveled from the sacred Shinto city of Ise, Japan, to London, where he befriended the cultural provocateurs Malcolm McLaren and Vivienne Westwood, and to New York, where he soaked up cultural zeitgeist (eventually collecting the likes of Jean-Michel Basquiat). When he returned to Japan, he brought a world of esoteric knowledge, understanding and subversive strategies, transforming his nation -- and in turn the rest of the world -- with a radical vision of style that is iconic in form, riotous in effect, anarchic in philosophy and the epitome of otaku's obsessive attention to aesthetic detail. Describing himself as a "cultural DJ," Hiroshi Fujiwara is now regarded as the Godfather of Harajuku, the neighborhood in Tokyo synonymous with youth culture and the streetwear that he pioneered. His other common sobriquet is simply H for his part in Nike's high-end limited-edition line HTM, an acronym representing Hiroshi and his collaborators: Nike designer Tinker Hatfield and Nike Inc. president and CEO Mark Parker. An early supporter of Nigo (who was in fact his assistant before founding his own A Bathing Ape) and longtime collaborator Jun Takahashi (whose Undercover line took his own commodity fetish to the next level), Fujiwara has collaborated with companies like Nike, Burton, Levi's, Stussy, Supreme, Medicom and Converse, along with artists including Murakami, Kozik, Kaws and Eric Clapton, yielding some of the most sought-after products out there. Having released his first monograph, Hiroshi Fujiwara: Fragment (named after his Tokyo-based company Fragment Design), with a foreward written by fellow OG and Colette creative director Sarah Andelman (p. 34), via Rizzoli this past summer, Fujiwara continues to define youth culture in ways that subsequent generations still strive to emulate but rarely attain. It would be very hard for me to choose someone in particular. I respect all creative people. Vivienne Westwood and Malcolm McLaren. What do you think it was that made you succeed when many other pioneers did not? I didn't have any obstacles that I needed to overcome. I think I made it this far because I always chose roads that did not pose obstacles. I think success is an accumulation of small successes.